Every morning when you wake up, you have the opportunity to set yourself up for a good day. Here are a few simple and powerful tools you can use to improve your mindset and your overall mood first thing in the morning. 1. Wake up in a comfortable state. Most people wake up to the awful sound of an alarm clock that irritates them. Instead, try waking up to uplifting music or your favourite song. This simple change will help you feel more at ease first thing in the morning. 2. Drink warm water and lemon. Have a cup of warm water with lemon as soon as you get up. 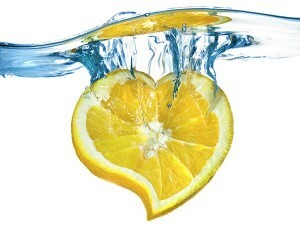 Warm lemon water alkalizes the body and rehydrates after fasting during sleep. Drinking lemon water before coffee and breakfast can even help cleanse your liver. 3. Think about three things you’re grateful for. While you’re getting ready for your day, ask yourself what you’re grateful for today. Make these things really specific and try to choose different things each day. We often forget all the good things we have in our life when we’re stressed and focused on our to-do list. Taking a moment to notice these things can make a profound difference in the perspective you project onto your life each day. To set an intention for the day, think about how you’d like to feel and then turn that desire into an affirmation. “My day flows with ease” or “Today I expect something wonderful to happen” are a couple examples. You can even set an intention each day to expect miracles. If that seems too far-fetched, change your perspective of what a miracle is. A miracle can be anything that makes you smile – whether it’s running into an old friend or seeing a beautiful sunrise while driving to work. When you recognize the good that surrounds you, the energy you walk into the office with will be different. You’ll feel more calm and centered. Negative coworkers will be less likely to bother you, and you will begin to notice more and more positive energy around you.